MYSAT GO is a monthly subscription online platform ( 60+ Live TV Channels and VOD ), in addition to Catchup services, Client Recording and interactive EPG. The Independent Media Station has joined Jordan Media City DTH Platform over Nilesat and Arabsat with 8 Mbps HD signal on both satellites and 4 Mbps SD Signal on Nilesat platform in addition to JMC OTT TV platform. 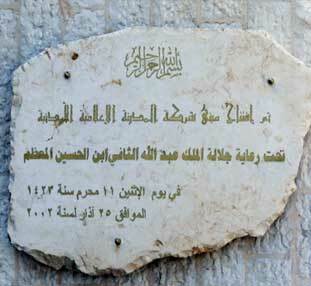 it is an advanced and qualitative leap for Jordan's TV sector as a public news channel called ALMAMLAKA TV (Kingdom TV). 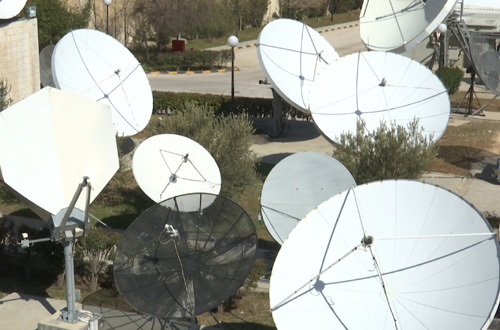 The Technical Monitoring Contract had been extended for five years and the number of monitored channels will be 600 TV Channels transmitted over Six YAHSAT Satellites. MYSAT is an entertaining, affordable, and reliable pay TV service offering Arabic , Greek & Italian Channels. Jordan Media City is contracted to provide a full OTT Solution for MYSAT Online platform ( MYSAT GO ) which contains 60+ Arabic Live channels. The platform is targeting Australia , Canada and Brazil . MYSAT GO is a monthly subscription online platform ( 60+ Live TV Channels and VOD ) , in addition to Catchup services , Client Recording and interactive EPG. The platform is available on iOS -Android Mobile and Tablet , Amazon Fire TV , Roku , Apple TV ,Web Portal and Android TV with Interactive EPG and Time Shifting for 8 Hours. The platform will be launched by the end of March targeting Australia , Canada and Brazil . MYSAT GO will be monthly subscription online platform ( 60+ Live TV Channels and VOD ) , in addition to Catchup services , Client Recording and interactive EPG. The platform will be available on iOS -Android Mobile and Tablet , Amazon Fire TV , Roku , Apple TV ,Web Portal and Android TV. Ka-Band Earth Station working with Arabsat 5C @ 20 Degrees East with 4 Spot Beams covering Jordan, North & South Iraq and Afghanistan. 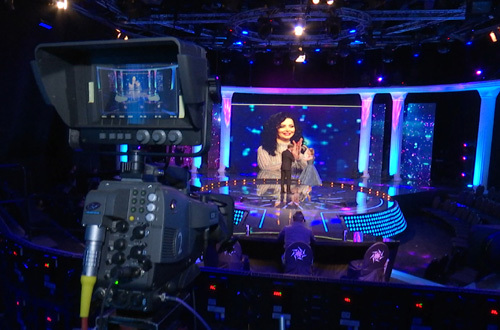 for their daily live programmes two HD 600M2 Studios were leased from JMC. Jordan Media City (JMC) has chosen an end-to-end headend solution from Harmonic to support its direct-to-home (DTH) satellite service. New Algerian channel, Numidia News, was lanched. December 11,2014: The WTA issued its yearly ranking for 2014 for the Teleport Operators. JMC came in the 8th position for the yearly teleport revenue growth and 16th position for yearly revenue growth from all sources. November 17,2014: JMC Hosted the Anti-Piracy Coalition 3rd Meeting in Amman on November 17, 2014 in Amman. The coalition committee consist of TV Channels: ART, MBC, Rotana, OSN, Media Gaes, Production companies and Films and series owners such as IAA, Eagle Films, WWE. Also, Satelites operatiors: Nilesat, Arabsat, Noorsat, Eutelsat, Gulfsat.The Committee discussed the latest technology to capture piracy and coordination between members to stop transmission if any. October 1,2014: MBC Ant-Piracy Dept. Contracted JMC for capturing and detecting the content of 8 TV channels. June 28, 2014: (1st Ramadan) started playout for the Nigerian Channel AREWA 24. Started playout for the Nigerian Channel AREWA 24. JMC started transmission of Media Gate channels : 8 Arabic channels and 3 radio channels which are on OSN bouquet. Contract was signed with Globecast to start monitoring ASBU/Arabsat global bouquet on Arabsat 5C @ 20 E C-band and Asiasat 5A @100.5 E C-band. A short term contract was signed with Al-Jazeera TV for uplinking new stream on Arabsat 5C. JMC signed MOU with Deluxe Broadcast Limited for establishing Data Center and playout facilities within the premises of JMC for the uplinking of television channels to various satellites (Arabsat, Nilesat, Hotbird, Yahsat and Asiasat 5A). February 25, 2014: Second bouquet of "My HD"
Contracted new transponder with Nilesat uplink frequencey 11957H.